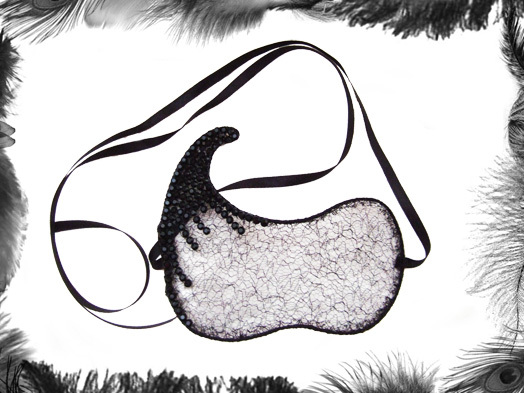 Black Organic-look Lace stretched over a wire frame with Rhinestones Mask. Black Satin ribbon tie at back. Various colour Rhinestones available - make your selection below. Now available in various colour lace too!